Aurora Theatre Company presents special student matinee performances of select mainstage shows during the season. These full performances of the play in our beautiful 150-seat theater in downtown Berkeley are followed by a question-and-answer session with the cast. Schools can arrange for artists from the cast to hold in-school workshops with students before and/or after the performance to further discuss the play. 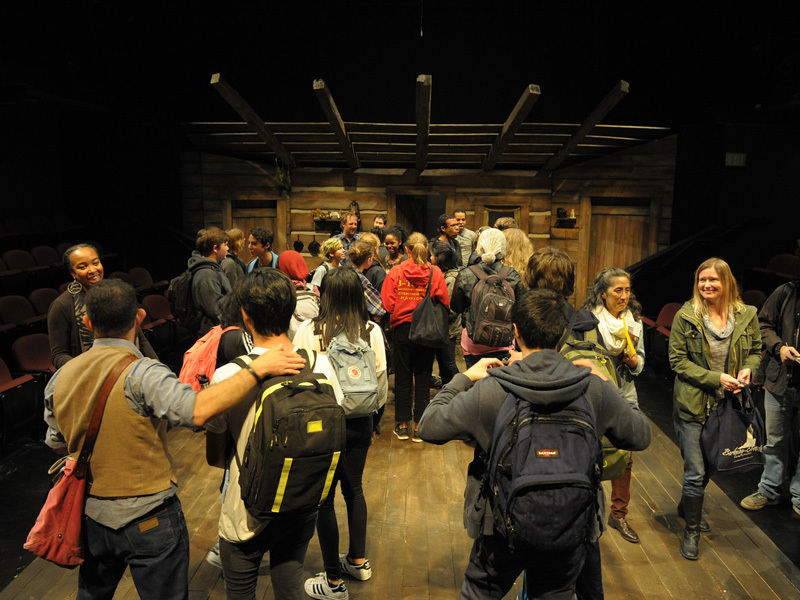 In recent years, student matinees have been held for productions of Safe House by Keith Josef Adkins (November 2016), and The Royale by Marco Ramirez (November 2017). Actor Dawn L. Troupe (far left) speaks with students after the performance and discussion of Safe House. Photo by Scot Goodman. This program supports the California State Education Standards in History-Social Science and Visual & Performing Arts. Call 510-843-4042 x314 or email education@auroratheatre.org with questions or to organize a student matinee for your school. 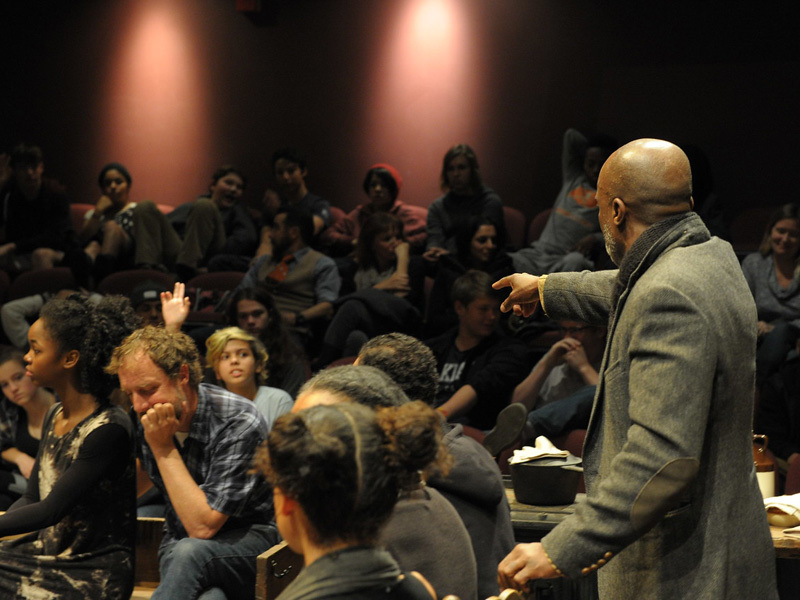 Director L. Peter Callender takes a question from a student at the discussion after a performance of Safe House. Photo by Scot Goodman.